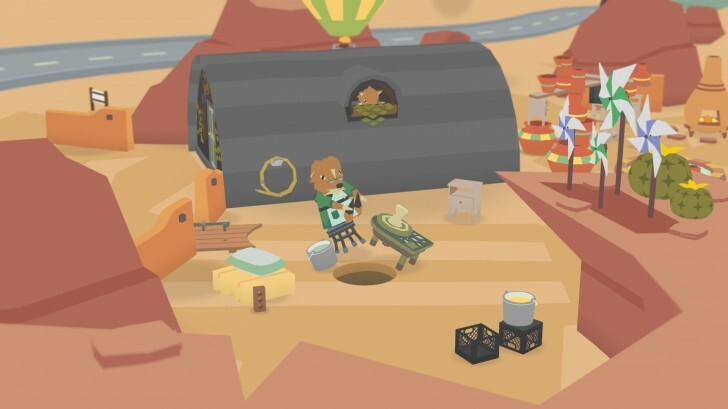 Donut County is a game that has been on my radar for the past few weeks. 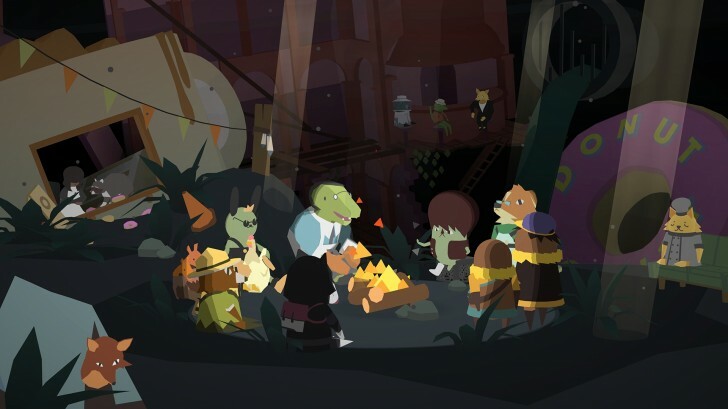 It is available on multiple platforms, including iOS but, most notably, not Android, and has received rave reviews from almost everyone who has played it. On Steam, for example, the game currently stands at 'Very Positive', which, when you consider the generally cynical Steam audience, is rather astonishing. 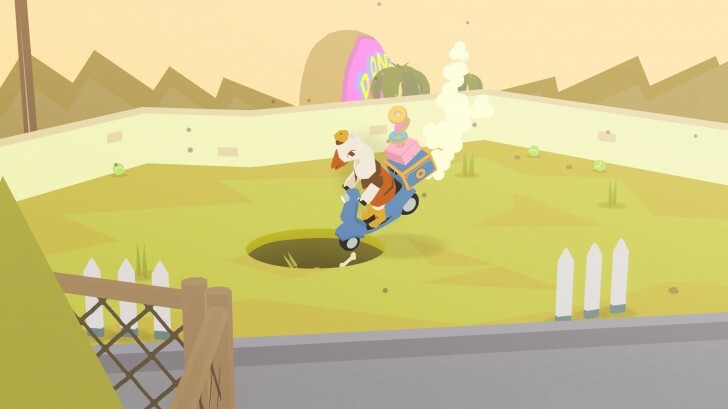 So what is Donut County then? The game is essentially about controlling a hole in the ground that you can move around to swallow things. I should mention right now that this review contains innumerable mentions of the words 'hole' and 'swallowing', so if you have any jokes, now is the time to get them out of your system. Now that we are done with that, in Donut County, one of the main characters is a raccoon who controls a remote-controlled hole in the ground that swallows everything in its path, which he uses to swallow his friends and all their belongings, something they are not happy about at all. Eventually, he finds himself being swallowed by his own hole and having to come to terms with the consequences of his action. If that sounds both serious and idiotic, it is. The story of the game is very silly and told through visual novel style design where you just tap on the screen to go through dialogue that appears on your screen as text and there isn't any actual voice acting. Still, it's an effective form of story-telling as long as you don't mind tapping a whole bunch through it. Unfortunately, the story isn't that interesting and sure, it's supposed to be silly and fun but I couldn't get into it and I found myself rapidly tapping on screen to get the dialogue over it so I could move on to the next level. I did enjoy the Trashopedia, though, which is a list of all the items that you swallow throughout the game and features absurd and hilarious descriptions of them. The list is seemingly endless once you finish the game and will take you a good ten minutes to get through all of the items. The actual gameplay is fun, though. You drag the hole on the ground to make it swallow things. The hole starts out small but as you swallow more things, it gets larger and lets you move on to swallowing larger things. Eventually it gets big enough to swallow cars and even entire barns. That sounds a bit simple and initially, that's all you do but eventually, the game throws a few puzzles at you. The goal is to swallow all the objects in the level but some are hard to reach, so you have to use other objects to get to them. Eventually you get a catapult, that lets you throw objects you swallowed back out, which can be used to access hard to reach places. While the puzzles are fun, there isn't much variety in them and they are fairly easy to figure out. Also, even after they show up, you still have several levels that have no puzzles but still just regular ol' swallowing. And then before you know it, the game is over. That's another problem with Donut County; most people can easily finish it under two hours, which really isn't a lot. The game also glitches occasionally. At times, objects don't quite fall through even though they should or get stuck awkwardly at an angle. The latter is not necessarily a glitch but because you only control the hole and can't pull the object out, you just have to shuffle the hole around until the object repositions and falls through cleanly. Sometimes, the hole does not slide around the ground properly and goes a bit crazy. These things happen rarely, though, and aren't a deal-breaker. Visually, the game looks simplistic but still well-designed and ran perfectly fine on the iPhone 8 Plus' overpowered hardware for such types of games. The music was good too although a fair amount of it seemed to be in mono. Overall, I was underwhelmed by Donut County. I can see why some people like it and if there was more playing and less talking in the game, I could get on-board the hype train but as it stands, I'd suggest giving this one a pass unless you don't mind really short games or those with a lot of silly humor in them. Then you guys should play Hole.io instead. It's the same game, but its online against other players so there's more racing/variety involved. Especially when you eat someone, and they try to revenge eat you back and you have to run/hide.